SaferNEL | Do you have a concern? HomeDo you have a concern? It is important safeguarding concerns and crimes are reported. The Single Point of Access (SPA) is available 24/7 all year round, including bank holidays. The staff are based locally and have local knowledge. Health (including Nurses and Therapists) Social Care and Mental Health professionals are available for advice and support. The SPA also hosts the out of hours GP service. North East Lincolnshire Council has established a simplified single point of access for all enquiries when, a worry or concern about a child or family has been identified, the new FFAP provides information advice and guidance, to the public as well as professionals ensuring that the right level of support is established first time, across all levels of the threshold of concern model. Staffed by a multi-agency team of professionals from Early Help Services, Children’s social care, health and policing teams, the FFAP will be able to promptly and effectively offer the most appropriate response to the concerns raised by the contact. The Channel Referral form is available for professional use and should be held by your agency already. If you do not have a copy of this form, please email prevent@humberside.pnn.police.uk and ask for a blank copy. The form should be completed with the details of the person(s) for whom the referring officer/agency has concerns in relation to their vulnerability to radicalisation for extremist or terrorist purposes. If you have a concern and would like some advice please contact the Humberside Police Prevent Team on 101. This is also the contact number for members of the public with concerns. 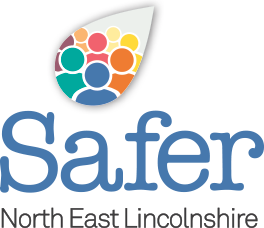 Use this reporting email address if you’re concerned about someone who you think might be a victim of modern slavery in the North East Lincolnshire area. This form is to be used for reporting a burglary of non-domestic or commercial premises e.g. sheds and outbuildings, theft, criminal damage or theft from or damage to vehicles. Please note that all online reports will be processed as soon as possible. For any other crimes please call Humberside Police on 101. If there is an emergency ring 999. This form is to be used for reporting Hate Crime. Hate Crime is if the victim or anyone else think it was motivated by hostility or prejudice towards that person’s age, disability, race or ethnicity, religion or belief, sexual orientation or transgender identity. This can be committed against a person or property. A victim does not have to be a member of the group at which the hostility is targeted. In fact, anyone could be a victim of a hate crime.